Thank you all for your great answers! Our 3 Winners have been notified and credited Stay tuned for the next challenge! Are you ready for some fun?!... We are! 1. Spot the differences 2. Comment below 3. Get a chance to win $5,000,000 coins, on April 24! 4. 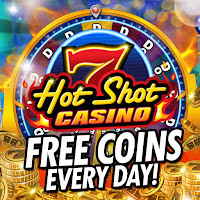 Collect FREE COINS! What are you waiting for? >>> http://bit.ly/2VYfVRp *** Three random players who answered correctly will win $5,000,000 coins on April 24.